Jane is excited and celebrating the release of Rory and Sadie’s story in Miracle on Chance Avenue! Find the excerpt right here on her website and then get your own copy from an online retailer of your choice. Also stop by her blog and check out Jane’s visual inspiration, her awesome playlist and enter your name for a pretty cool Christmas giveaway! 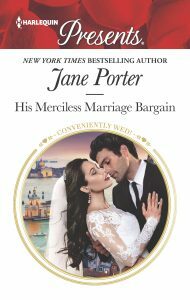 That juicy line is in Jane’s newly-posted excerpt for her upcoming Harlequin Presents, His Merciless Marriage Bargain. Paperback readers will be able to get it on December 19, 2017, and ebook readers will be able to download on January 1, 2018. But you can read the excerpt right now, no waiting. Make sure you can keep reading when the book becomes available — preordering options are only a click away! Coming Home & a New Review! After an amazing two and a half weeks of travel, writing and adventures with her author friends, Jane is flying home to California from Europe today! 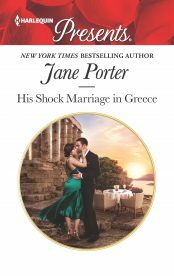 Jane is also excited to share a new review for Married in Montana which is still getting wonderful feedback from readers. If you haven’t had a chance to read it yet, be sure to download it today and find out what everyone is loving about Thomas and Ellie’s romance! Sneak Peek: New Christmas Cover! 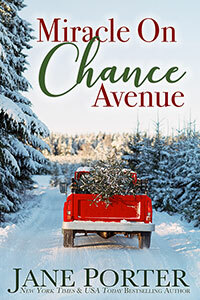 Jane is excited to share a sneak peek of her Christmas cover, the 2nd book in her Love on Chance Avenue Series! Miracle on Chance Avenue is slotted for release later this year – stay tuned for exact release date! Book 1 in the series, Take Me, Cowboy was a RITA Winner in 2014 and available in digital and print format from your favorite online retailer. If you haven’t had a chance to read it yet, check out the ordering options and add it to your library today! Married in Montana Releases Today! I am so attached to Paradise Valley Ranch and these characters. I can’t wait to hear from readers! 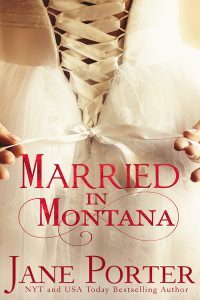 Start reading Married in Montana here on my site, then keep reading when you order your own copy. And then come find me on Facebook and Twitter and tell me what touches you about this book! As a fun treat for readers, this Book Extra: a recipe for the Irish Soda Bread Ellie makes for Thomas — with mixed, often entertaining (for readers, not for Ellie), results. And on my blog, I have added a second recipe: Ellie Burnett Sheenan’s Steak & Stout Pie. Enjoy! Also on my blog: a fun giveaway to celebrate Married in Montana! 1. Getting ready for Married in Montana? Then you’ll love the Book Extras Jane has posted about Marietta, Montana — including a gorgeous historic map! The book starts downloading on JUNE 29 so be sure to preorder yours. While you’re waiting: start reading! 2. Cover Reveal! The long-awaited follow up to Jane’s RITA award-winning novella Take Me, Cowboy has a title and a pretty cover and a hint at a release date. As ever: Jane’s Coming Soon page is the place to be. Preorder links just as soon as we have them! 3. Audio anyone? The Tycoon’s Forced Bride will release in audio next week! As soon as we have order links we will update this post. Stay tuned to JanePorter.com and any of Jane’s social networks. Married in Montana releases in just three weeks: June 29! Beautiful, spirited, Texas-born Ellie Burnett needs a husband — fast. Jane’s readers want another new romance — now! Jane just posted a brand new excerpt — the never-before-seen opening scene from her upcoming historical romance, Married in Montana, Jane’s next installment in her Douglas Ranch of Paradise Valley series. This hotly anticipated follow-up to Away in Montana starts shipping and downloading on JUNE 29 — preorder from your favorite bookstore, but get a jump on reading it right now! While you are waiting, indulge in Her Sinful Secret, Jane’s newest contemporary romance — read it, order it, and get started on summer fun reading! Jane’s Newest Book, Her Sinful Secret, is Now Shipping & Downloading! Jane is celebrating! Her Sinful Secret, book 3 in her Disgraced Copelands series, landed in readers hands today. Start reading the book on janeporter.com, then pick your favorite bookstore and get a copy of your own. On Saturday, Jane will be celebrating with readers at an author event in Huntsville, Alabama. Check the Events Calendar for details and come meet Jane in the Heart of Dixie! Jane is talking about hot alpha heroes with Megan Crane/Caitlin Crews on JaneBlog! Drop by to leave a comment for a chance to win the Ultimate Megan Crane Fan Girl Prize Box! A Passionate Cause – World Vision! Jane shares her passion for World Vision with Bobbi Dumas at Kirkus Reviews. Check it out and get the scoop on some fun Christmas themed books too!